This Frozen Margarita recipe is sure to be a hit at your next party. It is made with Tequila, kiwi, strawberry and mango ices and served with a shot of Cactus Juice Schnapps. There is also a recipe for a virgin version! Happy Hour for all! 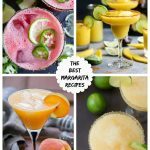 The alcohol version of this Copycat Frozen Bahamarita is a margarita recipe made with tequila, kiwi, strawberry and mango ices and served with a shot of Cactus Juice Schnapps. 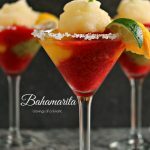 The non-alcohol version of this Copycat Frozen Bahamarita is a margarita recipe made with kiwi, strawberry and mango ices topped with Sprite. I know right. This drink is incredibly pretty. It’s very eye-catching. It’s also wicked good. If you know me well, you know I don’t drink often. When I do, that drink better impress me on first sip. This one impressed me so much in the restaurant that I had to come home and replicate it for all my readers. When you taste something this good you want to share it with all your friends! I feel the same way about Bahama Breeze restaurant. They invited me to swing by for Viva La ‘Rita. We do not eat out often, and when we do I want my food, and my experience, to be worth every penny I spend. I also want it to be worth the effort of me getting out of my jammies long enough to put “actual pants” on. As well as worth the effort of combing my hair enough to be presentable and maybe going all out by putting on lip gloss. I have high standards when it comes to food. I want an experience when I go out to eat. I think most foodies feel that way. Since I work from home my expectations one step farther. If you make me put pants on then your food better kick some serious booty. I’m not talking just skating by with a passable menu. It has to rock my socks off. The menu needs to be well rounded, full of seasonal offerings, and loaded with things that make me want to stay all day. Bahama Breeze passed with flying colours. Not only did I not regret getting dressed, my daughter and me were there stuffing our faces with amazing food and drinks for almost 3 hours. I went home full, happy and excited to try to replicate some of their recipes. I also immediately called my son in Alberta to tell him all about the place, and told him we’re taking him there when he visits next month. You won’t catch me raving about too many restaurants. This is one I want to scream about from the rooftops but I won’t. Last time I did that the neighbours called the cops. Go visit so you can get the full experience. Bahama Breeze Viva La Rita will make you happy you put pants on. We visited the location in Troy, Michigan on a Friday. I would like to thank the manager, Jill Lutz for being so friendly and helpful. She made our visit extra special by taking the time to chat. She also took some extra time to give directions around the area. Another quick shout out to our server, Shauna. If you get the opportunity to visit the Troy location be sure to ask for her. This gal took the time to run through the menu, explain all about seasonal choices, and she made sure we had an amazing time, as well as an fabulous meal. 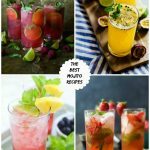 No meal is complete without some refreshing drinks. Am I right? 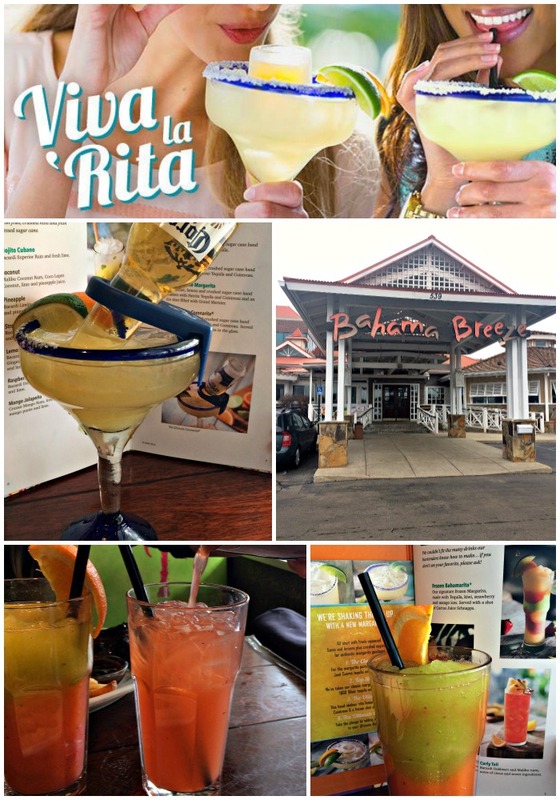 We tried the Bahamarita, the Strawberry Lemonade and the Coronarita. Every single one was bursting with flavour. My daughter was partial to the Strawberry Lemonade. I was over the moon for the Bahamarita. I am giving you two versions of the recipe today. One has alcohol, one does not. That way you can make all your guests happy at any party. I think it’s always important to offer both options and they should be as gorgeous as possible. No alcohol versions should never be boring!! Blog post originally shared on April 9, 2015. Updated on April 13, 2018 to add a new unsponsored video! 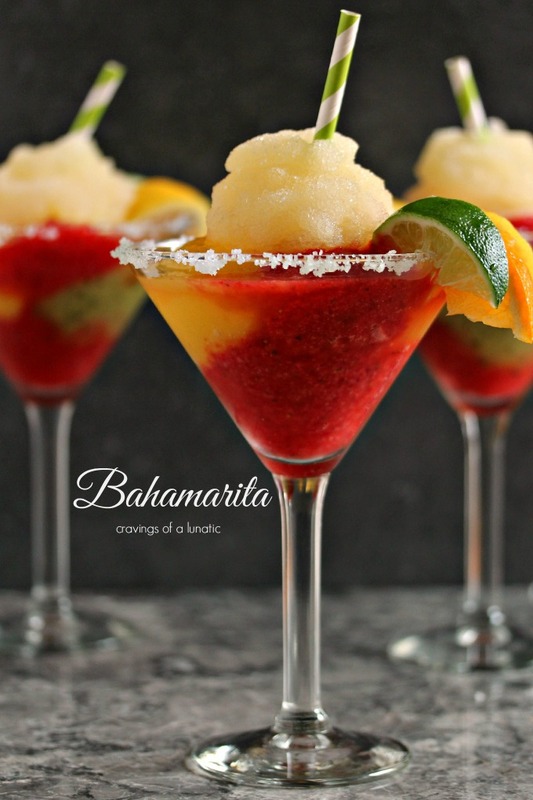 Check out my video for this Copycat Frozen Bahamarita! 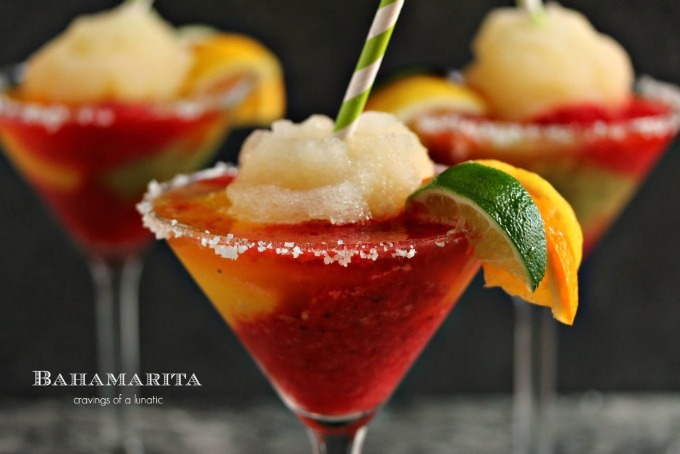 This Frozen Margarita recipe is sure to be a hit at your next party. It's made with Tequila, kiwi, strawberry and mango ices and served with a shot of Cactus Juice Schnapps. Line each glass with salt if desired. I put out two plates, one filled shallowly with water, the other with salt. I dunked each glass in the water, then quickly into the salt. Set aside till needed. In a medium saucepan mix 1 ¼ lb. sugar with 16 oz. of water, cook while stirring occasionally over medium heat until the sugar dissolves. Refrigerate. This will last for 24 hours. Cut limes, oranges and lemons in half. Squeeze juice from 3 limes, 3 oranges, and 3 lemons into a quart container and add 1/2 of your simple syrup to it. Pop this in the fridge. This will last for 24 hours. Blend each fruit separately with ice (I used about 1 1/2 cups of ice per fruit, but you can adjust this to your own taste) and 2 ounces of cooled simple syrup until thick. Store each fruit flavour separately in bowls. These three mixes will last for 2-3 hours in fridge. If making quickly you can pop them in the freezer for about 30 minutes maximum. Blend the Margarita mix, tequila, and some ice in a good blender until thick. Now scoop about two teaspoons of each ice in the bottom of your chilled Martini glass. I like extra strawberry in mine so I use that as the base then use all three fruits randomly on top. Now top the fruit ices with the thick margarita mix. You can now add a shot of Cactus Juice into the drink. If you can't find it or want to keep this light substitute sprite. Place lime,orange and lemon wedges on the rim for garnish. Serve with a big old bahamarita smile! 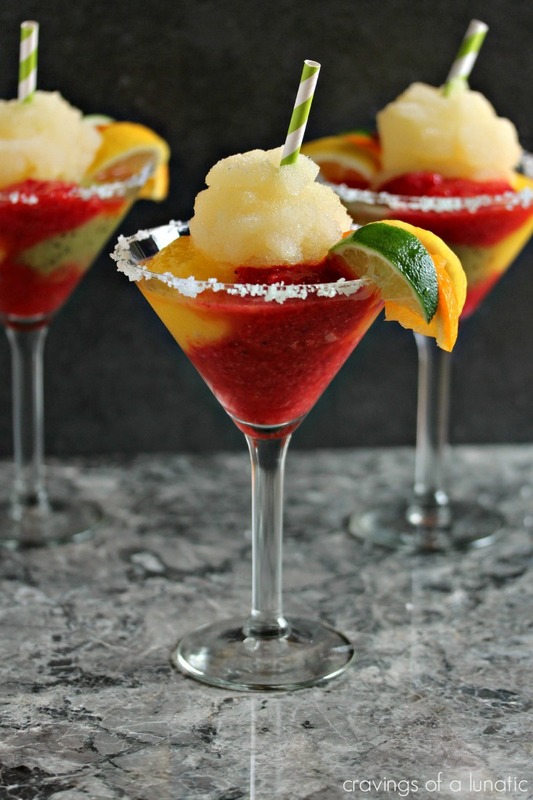 This Frozen Margarita recipe is sure to be a hit at your next party. 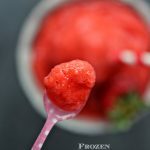 It's made with kiwi, strawberry and mango ices topped with Sprite. Squeeze juice from halves of lime, orange, and lemon into a quart container and add remaining half of the simple syrup to the fruit juice. Then refrigerate the mix. These two mixes will last for 24 hours. 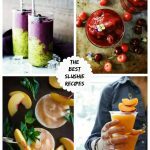 Blend each fruit, ice, and two ounces of simple syrup separately until thick. Store separately in bowls. These three mixes will last for 2-3 hours. Blend the margarita mix, and some ice in a good blender until thick. Now scoop about two teaspoons of each fruit ice in the bottom of your chilled Martini glass. I like extra strawberry in mine so I use that as the base then use all three fruits randomly on top. You can now add a splash of Sprite over top. Serve with a big old virgin bahamarita smile! 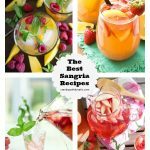 If you’re looking for more drink recipes be sure to check out my recipe index. 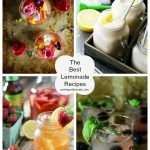 You can also find a lot more summer recipes as well. OMG Kim…..how awesome does this drink look? Thanks for taking one for the team and going to check out Bahama Breeze….someone had to do it, right? I’ll take one of those babies right now! I miss Bahama Breeze! We had one near us however it closed a number of years ago – it was a fun place and the cocktails were killer! I wish I could slurp one of these right now! You have got to be kidding me! This is the prettiest drink I have ever seen! Is it wrong that it’s only 9am and I want to be sipping on one of these beautiful drinks? It sounds as though you found a keeper in that restaurant. If I was your son, I’d be flying back right away! These are gorgeous! And cactus juice schnapps….what? I’ve never heard of such a thing, but I might not be able to rest until I’ve tried it. I like your adjective ‘wicked’ good. It got me to continue reading. It’s good there is a virgin version too—say that 10 times after you’ve had a non virgin one or two. Laughing. I would enjoy this drink—-obviously! Kim!!! I LOVE your new blog design and logo! 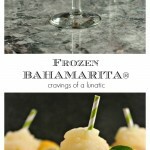 and love this frozen bahamarita!!!! I’ll take 3! Gorgeous drink! Love Bahama Breeze! Pinned! Thanks Mira. I’m so happy you like it. I love the colours in this one. Kim, Like you, I don’t drink cocktails often. But I’m so enthralled by the colors in this drink that I just might have to imbibe. And if you think I’m leaving out the cactus juice schanpps (whatever that its), think again! 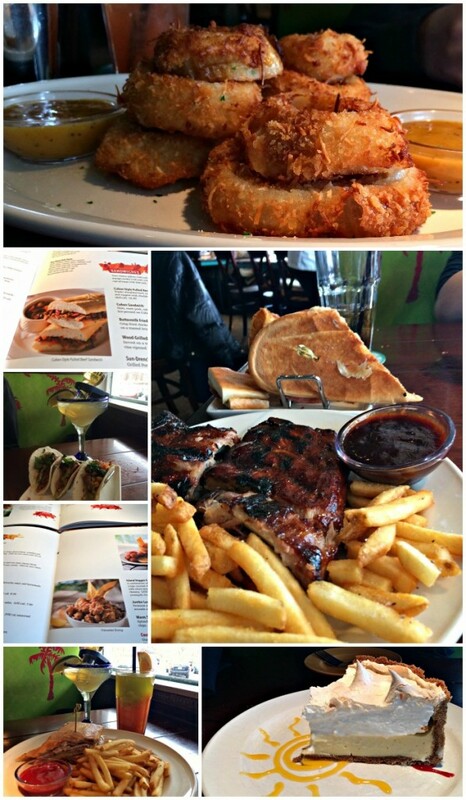 Don’t think I’ve ever seen a Bahama Breeze restaurant, but if I did, I’d order this for sure. Your recipe has been featured. Happy Monday and keep on drinking! We’re about 90 miles north of Troy and this place sounds like it will be worth the trip. I love that the alcohol in the recipe is listed, “to taste”. Something for everyone! Happy Mother’s Day! Ha, I feel the same way when going to a restaurant. If you make me get dressed, then it better be good. Will definitely have to look this place up the next time I visit Vegas.